Welcome to my Spring Home Tour. If you’re coming from Style with Lace welcome and I’m so glad you’re here! It’s always an honor to be a part of this group of bloggers and it’s so fun doing something different every month. Be sure to keep reading until the end of the post so you can see who all the rest of the talented bloggers are who are joining us today. There are times when I participate and times I do not. When work starts piling up I don’t have time to do anything extra. Now that Spring is here, it’s fun to start decorating for the season. We’re out of the cold, frigid weather; the flowers start to bloom and the trees are sprouting new leaves. It gives you the inspiration you need to do some Spring decorating! Even though Spring is here in California, you may be reading from somewhere that’s not so warm. It’s a shame there’s still so much snow in some places. I feel like here in California we’re lucky to not have snow. Well, some places do but for the most part it’s nice and warm… CALIFORNIA DREAMING! When you think of Spring, what’s the first thing that comes to mind? COLOR is what I think of when it comes to Spring décor. Flowers, fruits, Easter, which may I mention is right around the corner? This means we have to start thinking of our table décor! Here’s some ideas to get you inspired. If you’re someone who’s been following me for a while now, you know how I feel about black and white. These two colors will never go out of style and did I mention they’re super versatile when it comes to decorating? Let’s not forget they are very elegant. “25th Anniversary” blog post where I used these cake stands by Opulent Treasures to decorate my dessert table. Thank you for stopping by my blog and be sure to check out Michael's blog for more tips and ideas. I hope you enjoy your Spring and don’t forget to stop by the other fabulous blogs for more ideas and inspiration! Leave me your thoughts/comments. I’ve said it before, I love to read through them. Have a great weekend! Love all those bunnies; so whimsy! Your flowers are so gorgeous! And all those white bunnies - spring perfection! Lizbeth, your home is so glamorous and chic!! The color palette is stunning and I'm loving how the pinks add so much all that dramatic black, white and gold! Such beautiful Spring touches! liz, my bestie youuuuu! I always tell you how honored I am to be your friend! I love your home.. the black and white gets me every time. dont ever stop! stay true. Liz this is gorgeous!!! I love the spring addition of green that really pops your pinks for spring. The cake is adorable! This is spring perfection! Ok, Liz, your home has so much eye candy! I'm sharing over on FB and I think I'll use quite a few of them since I can't just pick one image! Fabulous blog post!!!! Wow, Liz I am blown away by your post! The flowers are amazing!! All the bright pinks just look so lovely and crisp with your black and white! I would eat at this beautiful tablescape any day! Seriously, your Easter table is EVERYTHING. The pink, purples, and all the bunnies... LOVE!! I also need to make a cake with bunny ears ASAP!! Well done, friend. Liz, you are just amazing! Love the plates, the florals, the bunnies, the glasses! Everything is gorgeous! Your living room is stunning! That juju hat, the pink, the black wall - I love it all! That easter cake is just too cute, I may just have to make one myself. I think my daughter would love it! Where are your bunny plates from? They are adorable and so chic! 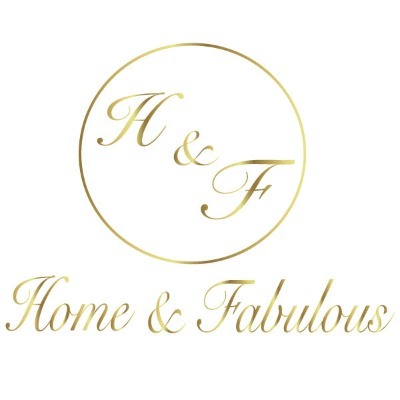 everything in your home is absolutely fabulous!! love, love the black and white with pops of pink, I am incorporating pink into my spring refresh and I am loving it. 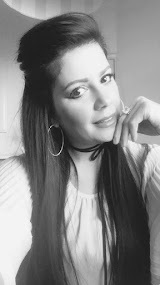 Come visit me at https://kathrynbelleglitzandglam.blogspot.com I'm a new blogger and am in need of some blogging friends. Your spring tour is beautiful! Where did you get the fabulous straw colored wreath on the wall? New to your blog everything is beautiful!!! May I asked where you got your beautiful square coffee table from? 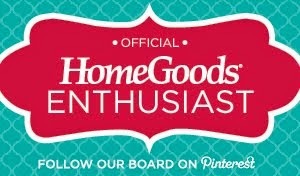 I just stumbled upon your blog today and wanted to say I love how plush and inviting the space looks! Love the black accent wall! Would you mind sharing where your sofas are from? They look so comfortable!